A year ago I featured a post about studio Aurum Light, coming out with a milk calendar with the theme of superheroes. This year, Jaroslav Wieczorkiewicz, the creative spirit behind the studio, had done it again. 2016’s milk calendar is another masterpiece of photography with the theme of fallen angels. You have to admire the amount of work and technique that went into creating these stunning falling angels photos. These days you can expect to see 3D and CGI come to the rescue, when you want to create images like these. But none was used in this case. Jaroslav technique involves shooting a large amount of photographs from multiple milk throwing sessions. He then combines them all, to the desired final imagery. Jaroslav promises to post some behind the scene images. The full story behind the calendar will also be published in a future post on the Aurum Light blog. So for now, if you want a bit more information, you can check out the post diyphotography did about the 2016 fallen angels calendar. If it’s your desire to own a copy of the calendar (as it is mine), you can head over to Aurum Light calendar page and get one there. All images on the post are the property of Jaroslav Wieczorkiewicz and Aurum Light studio. 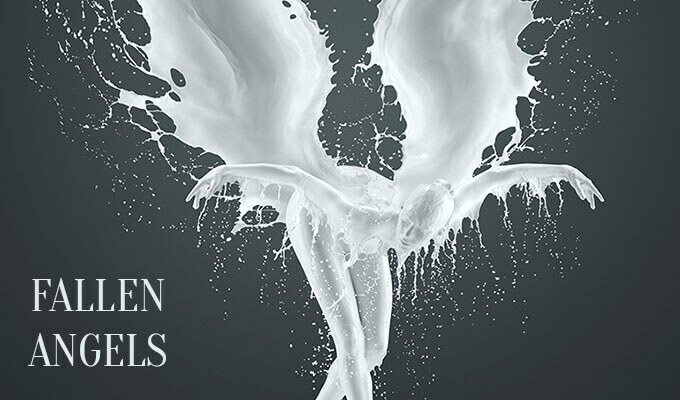 The post Fallen Angels 2016 Milk Calendar by Aurum Light appeared first on ilikethesepixels.